Does Eating Limes Burn Fat? It's always a great time to detox and rejuvenate your body. 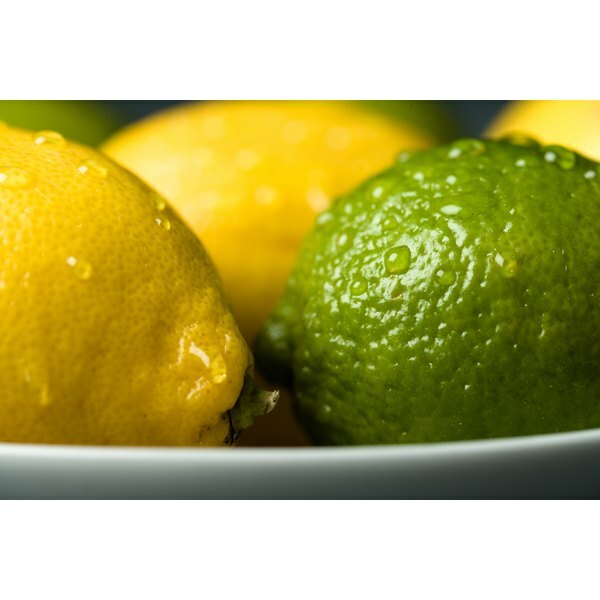 Citrus has always been popular for detoxing, but which fruit is better: lemons or limes? Per 1 oz. of juice, lemons have 14 mg of vitamin C and higher anti-inflammatory benefits than limes. Vitamin C is beneficial for detox as it helps the liver to produce glutathione, which is regenerative and helps the liver to process toxins and eliminate them. Lemons are alkalizing, like limes, and have a fresh, bright, tangy flavor. Limes contain 9.2 mg of vitamin C per 1 oz. of juice and still have a positive effect on inflammation due to their alkalizing qualities, although not as much as lemons. Limes do contain higher levels of calcium and vitamin A, but not significant enough amounts to be of any benefit. Limes have a great fresh tropical flavor. Both lemons and limes have similar nutritional profiles, but as lemons have slightly higher contents of certain vitamins, they could be more beneficial to detox. However, limes still contain the same compounds, and if you are getting bored of using lemons for your detox program, limes can be a great substitute for flavor. They both work with detox programs such as the master cleanse and can be interchanged for variety. Jacqueline Labrador has been copywriting for various nonprofits and most recently started writing for radio stations. She has an A.A. in geography and is currently working on her bachelor's in international communications with a minor in French and a certificate in Russian.